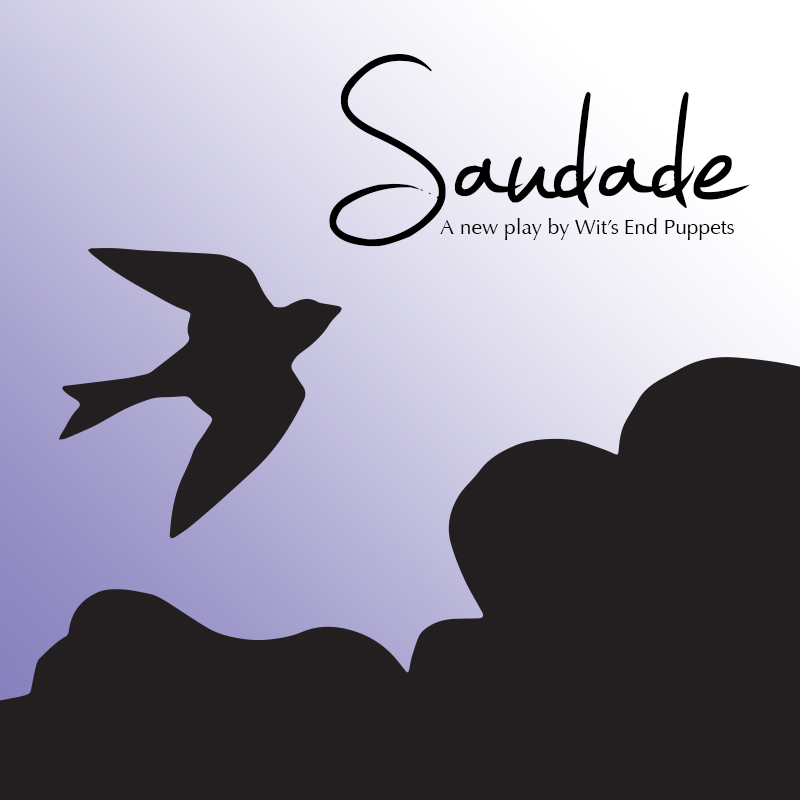 Saudade is a puppet play that uses shadow and light to explore the experience of being an immigrant in Washington DC. It was written by Cecilia Cackley after extensive interviews with immigrants from more than 20 different countries to metropolitan DC. Nearly wordless, with an ambient noise soundtrack by Patrick Calhoun, the piece depicts moments when three individual characters feel saudade–a melancholy and nostalgia for the places they have left behind. Saudade premiered at the Atlas INTERSECTIONS Festival in March 2015 and was later performed as part of the Winnipeg International Storytelling Festival in May 2015 and the Smithsonian Folklife Festival in July 2016. Saudade runs 35 minutes and is available for touring. It is intended for audiences ages 10 and up. For more information, please email info@witsendpuppets.com. The development of this project was funded in part by the Puffin Foundation, and the D.C. Commission on the Arts and Humanities, an agency supported in part by the National Endowment for the Arts.